Posted on October 28, 2015 by academicbookfuture	in digital, libraries and tagged British Library, Save our Sounds, sound archive, Steven Dryden. 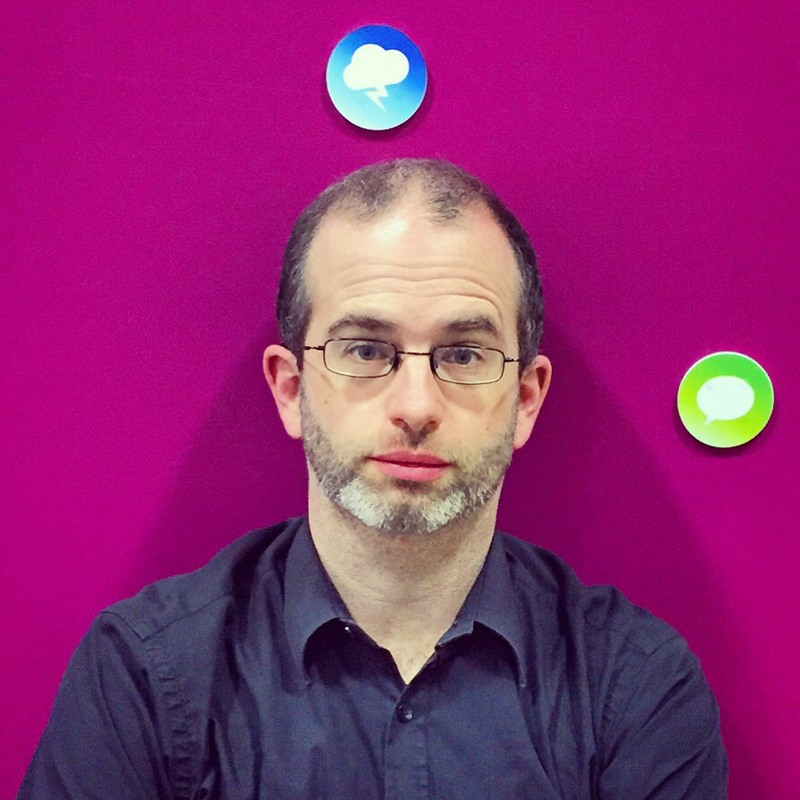 Steven Dryden is a Sound & Vision, Reference & Technical Specialist at The British Library. The British Library is currently undertaking a major campaign called Save Our Sounds which offers the opportunity to question the connection between text, sound, and moving image in media-rich content research. In this post he invites researchers to take part in a survey on how they use audio-visual resources in their work. In early 2015 I was fortunate enough to catch Rebecca Lyons giving a presentation on The Academic Book of the Future Project. Aside from the fascinating debates about what constitutes ‘academic’, what constitutes a ‘book’, and what an ‘academic book’ might be in the current research landscape – I was struck by the potential applications of the project to the collection I am vested in at The British Library: sound. Sound recordings are the closest thing to time travel that we have as a research tool. Take for instance this audio clip of JRR Tolkien visiting a tobacco shop. We are instantly transported to 1929 when the recording was made, and it is easy to feel that you are being addressed directly. The time that has passed between then and now seems to vanish. As well as enabling us to future-proof our collections, the Save Our Sounds campaign is a unique opportunity for us to take stock of our role as audio heritage archivists, cataloguers, librarians, and collectors. Part of this includes considering access and the ways in which our collections are used by researchers. It is here, at the crossroads of research & engagement, that linking up with The Academic Book of the Future Project becomes very exciting. At the moment, if an ‘academic text’ includes audio or visual resources, these tend to be included as DVDs, CDs, and perhaps even CD-ROMs (yes, they are still floating around out there!). As the technological landscape of the world changes, the ability to access and play CDs, DVDs and most definitely CD-ROMs will become increasingly limited. From the initial survey work that has been done for the Save Our Sound project, the main preservation concern is not that the recordings themselves are at risk of disappearing, but the obsolescence of the playback equipment. If you are or have used sound and/or audio-visual materials for research please complete our short survey. (This survey will remain open until Easter). In due course a symposium/workshop will be arranged to discuss the findings of the survey. We are keen to encourage dialogue between publishing houses, app developers, and researchers. We hope the symposium/workshop will address and encourage ways of working together to fully explore the potential of audio-visual components in the academic book of the future. Find out more about Save our Sounds at Save our Sounds, follow @BLSoundHeritage for live updates from our digitisation studio, @SoundArchive for tweets from the sound team, and use #SaveOurSounds to join the conversation on Twitter. Posted on October 26, 2015 by academicbookfuture	in academic books, Open Access, Publishers and tagged Ian Lovecy, open access. 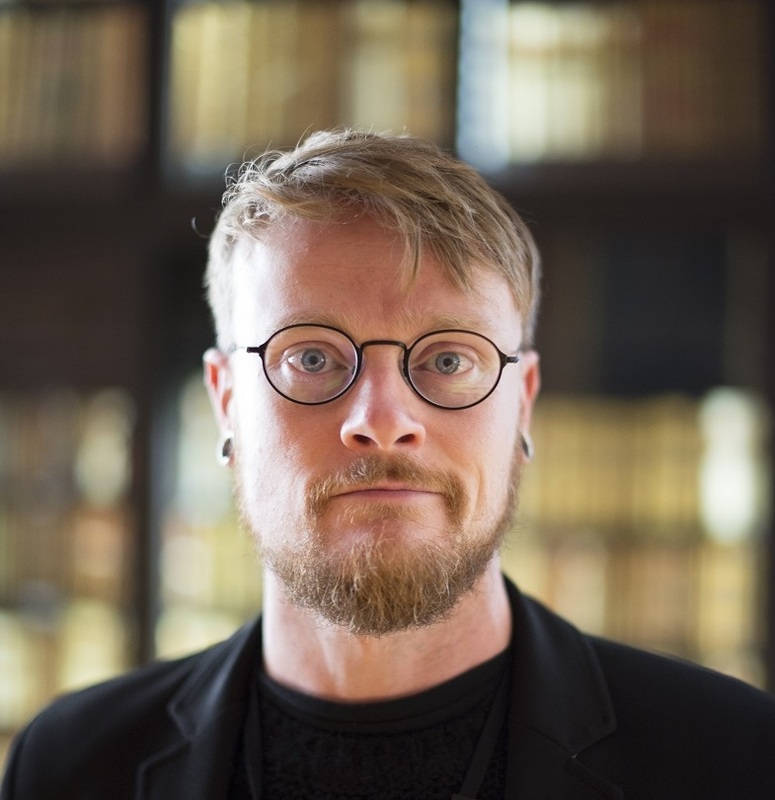 Independent information services professional Ian Lovecy suggests that there are a number of questions – philosophical and practical – which need to be answered before open access could be a sound and sustainable method of academic publishing. This post makes no attempt to answer them, but rather to identify them and perhaps open up some of the issues involved to discussion. What do we mean by “open access”? Time was, I could walk into my public library, ask for a book or a journal article, and if they didn’t have it they would obtain it for me through inter-library loan; that was open access to information, and it died in the ‘70s and ‘80s. In those decades, access remained open, but subject increasingly to charges, primarily to cover the administrative costs of the service. Increasingly, requests became subject to a form of censorship, requiring proof of need or (in Universities) a tutor’s signature. Today we have the Internet, and access to much of the information on it is available to anyone with access to a computer. (This is theoretically anyone in the UK since computers are available in public libraries and Internet cafés, although opening hours, location, costs, line speed and computer literacy may all impose limitations.) Not all the information is available free of charge, but subject to questions of privacy and confidentiality, public interest, security and government policy on access, it is available to all. Do we mean open access to the entire world? Do we want to put restrictions on the use of the information? What are the reasons for open access publishing? A frequently-heard justification is that since public funding pays for the research the results should be publicly available. This is at best a slightly tenuous argument – even after the passing of the Freedom of Information Act there is still a great deal of publicly-funded information to which the public most decidedly do not have access. It can, in any case, apply only to a subset of research, primarily that funded wholly by the Research Councils. However, the current intention is that all material, if it is to be included in the REF, must be available on open access. In the past, there has been an underlying assumption that all research undertaken in Universities is publicly funded; this is no longer tenable. Even ignoring the existence of entirely privately-funded Universities, much research – particularly in medicine, biochemistry and the social sciences – is jointly funded by research councils and either charities or business (or sometimes both); there may be restrictions on the amount of information which can be published because of commercial considerations. Many academic posts in the Humanities are now funded entirely by student fees – surely that cannot count as public funding? It should not be forgotten that there exists also a group of independent researchers – retired academics, former students who have gone into non-academic work and self-taught members of the public with a keen interest in a specific topic. None of these is likely to be submitting material to the REF (with the possible exception of the first group) and they are not therefore under pressure to use open access publishing; they will, however, be affected by some of the consequences of it considered below. Is there any moral or philosophical justification for insisting on open access publishing? What might be the practical effects of open access publishing? The practical effects can be considered under five headings: the value of information, effects on conventional publishing, location and language of publication, universality of access and costs. A professor (of English literature, no less!) once told me there was no need for subject librarians because “all students had to do was use the Internet to find things”. I put the following fairly specific search into Bing: “studies in Shakespeare’s Henry VIII”. That is, of course, one of the most minor of the plays; the search returned 23,500,000 hits. The first 20 included a Wikipedia entry, several references to Spark notes, summaries and quizzes, one text, one (Spanish) production, and several references to A study of Shakespeare’s Henry VIII by Cumberland Clark. Which is doubtless an excellent book; but a similar search in Birmingham University Library’s catalogue shows in addition, in the first 10 items, books by Larry Champion, Alan Young, Sir Edward German, Tom Merriam, Maurice Hunt and Albert Cook, a text with a preface by Israel Gollancz, and a production by the Royal Shakespeare Company. Some of the books are on detailed aspects of the play or its authorship. It is a manageable list, and represents the selection (you could call it censorship) by a group of scholars over a number of years of books which say something worth reading about the play. That selection is made in a number of ways, such as the reputation or place of work of the author, the reputation of the publisher, reviews in newspapers and professional journals. There can be dangers in all of these: an author may have a reputation as a maverick and be scorned by established academics; just because an academic doesn’t work in a Russell Group university it doesn’t mean he or she is not good; Mills and Boon might publish a scholarly book; reviewers may have personal axes to grind. However, behind all of this is the publisher: it is the publisher who publicises the book, sends around lists of forthcoming volumes to libraries and academics, sends out review copies. Going back one step, publishers’ editors decide which books to take on, and there can be problems here for those with radically new ideas; the existence of a flourishing, competitive industry is one way of minimising the risk of censorship. How do we sort the wheat from the chaff? If open access publishing of monographs became the default option – as it might if open access became a requirement of the REF – the effects on the academic publishing industry could be severe to catastrophic. Much would depend on a question asked above, and explored further below: is open access to be free access? Electronic publication is not necessarily free – e-books are often cheaper than printed copies, but librarians would question whether even this is true of e-journals – but payment is made by somebody in some way. If, however, open access were to mean free or cheap access, academic publishing could become unsustainable; even today margins are small and there is often cross-subsidy within major publishers from more lucrative parts of the list. University presses are often subsided by parent institutions, usually as part of institutional marketing. A significant decline in the number of academic publishers would (as indicated above) greatly affect the way in which published research was publicised. It would also leave independent scholars outside the university system with little or no choice of where to submit a manuscript, thus potentially reducing the amount of information and scholarship to which the world has access. Would there be a place for academic publishers in an open access system? In the age of the Internet, research collaboration across national borders is common; however, with the important exception of the United States commitment to open access publication is not. For institutions and scholars in many countries, publication in respected journals which are not open access may be important for prestige or career purposes. Hitherto in the UK, this conundrum has usually been solved by the open access “green” version of a paper (the penultimate draft), leaving the final version to be published normally; the “green” version is acceptable to the Research Councils (and so far to the REF) as satisfying their conditions. If it is decided that all material for submission to the REF must be available as open access, a further problem arises. Researchers in linguistics or the literature of other languages and cultures frequently publish in non-English languages in journals published in the relevant country. Open access journals in, for example, Mandarin or Sanskrit, Latin or even French, may be hard to find! Open access publication of monographs might be possible, but probably only through a UK publisher – depending on the answers to questions above; This could affect the breadth of the reception of the item, which as well as diminishing any royalties which might still be available could significantly reduce the impact in respect of a REF submission. Are foreign language publications to be exempted, and if not what provision is to be made for them? As suggested above, “open access” is usually interpreted as free access, but this is not without cost. At present universities have been willing to place science articles on local servers at marginal cost; if humanities publishing and monographs are added, the costs of maintenance over the next fifty years will probably be less than marginal in research-intensive universities. Moreover, there will be a need for more sophisticated search software, akin to that in use by libraries – and as librarians will confirm, such software is not cost-free. Alternatively, material (at least articles, although not monographs) could be collected into online journals. This could ease the problems of refereeing and therefore selection of useful material, although it would bring back the possible problems with the current system of refereeing – which have recently included the costs in terms of time if not of money. But online journals would need editors and some level of administrative staff – publishers, in other words – and there would be costs involved. Who would pay them? If it is expected to be users, we are back to the question of whether open access is to be free; and if it is paid for by institutions we are likely to find those who do not belong to such an institution disenfranchised. There are also hidden costs in terms of the use of materials. Screens and readers are improving all the time (although that is also a cost – I don’t need equipment to read a book) but many people still find prolonged use uncomfortable. Hyperlinks can facilitate the movement from index to relevant page, but activities which require having more than one volume open at a time – comparing two editions, for example, or reading a critical work in conjunction with a text – can be awkward. A book published 400 years ago is (generally) as easy to read as one published four days ago; computer software is upgraded frequently, and although upward compatibility is often included, there are sometimes step changes – Windows 10 has provided examples, and many word processing systems confine upward mobility to perhaps the last five versions. In my research I used a number of books and articles published 100 years previously, and probably little-used in between; how accessible will material published today be in 100 years, and what will be the costs of keeping it accessible? Will there be a need for new indexing and/or searching software, and if so who will pay? Will in-built upward compatibility in software cope with material published a century earlier, and if not how will upgrading be managed? If there are costs in respect of open access which are born collectively by institutions rather than by the end-user, will some potential end-users find themselves without access? How can the problems related to potential inconvenience of use be overcome? What do you think of the issues and questions raised in this post? Acts of Reading: when, how, and where do academics and their audiences read in the digital age? Posted on October 16, 2015 by academicbookfuture	in academic books, reading and tagged Andrew Prescott, Bronwen Thomas, Miri Rubin, Sara Perry. How academics and their audiences read is a topic inextricably tied in with the future of the academic book. 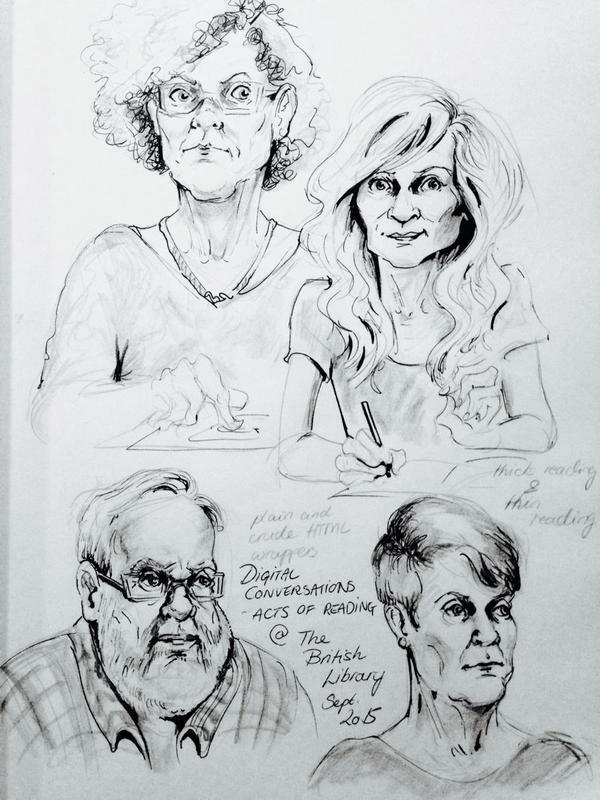 On the 24th September 2015, Professor Andrew Prescott, Dr Bronwen Thomas, and Professor Miri Rubin, chaired by Dr Sara Perry, discussed Acts of Reading as part of The British Library’s ‘Digital Conversations’ series of events. The event was held at The British Library and co-organised by The Academic Book of the Future project, and was prompted by a previous blog post on a related topic by Prof. Andrew Prescott. The panel considered such questions as: Have acts of academic reading changed in recent years and are they still changing? What formats and devices are academics reading in and on, and how has this affected their research and writing? What is the future of academic reading, and what consequences will this have for the academic book? How have these changes impacted public consumption of academic research and might this portend for academia and the public in the future? Dr Bronwen Thomas (Bournemouth University) began by outlining new opportunities that digital reading offers. She uses email and her university’s Intranet not only for collecting and aggregating links, but also for sharing them with her students. Reading becomes an act of community, of social connection and discussion, but the act of reading is also put off until the links themselves are clicked. Digital reading offers a greater array of options for academics than hard-copy reading alone. “Even if a book is on my shelf, I am more likely to find a specific quote using a digital search, e.g. on Google Books.” But conversely, as Thomas highlights, citing Naomi Baron’s Words Onscreen (which she brought with her to the event – in hard copy format) people tend to do more re-reading in print. The reasons for this are various, although the main one for Thomas is that with physical books there are less likely to be Internet-related distractions, e.g. Twitter, Facebook, emails. Some researchers have also argued that when reading a physical book there is a greater sense of the internal topography and structure of the book, with readers having more of a sense of themselves within the space of the book, as well as an awareness of external space, and a memory of the situations of reading: How much is left of the book? Where was I when I read this – on the bus, in my office, in the bath? Thomas asks: what counts as reading? Does it finish when you finish the book, or does an insight strike you 5 years later? Thomas described herself as a migratory reader – migrating between different kinds of modalities and media. She referred to the “PowerPoint state of mind”, an argument often cited with reference to digital reading. It describes a fragmentary style of reading; dipping in and out of texts. This type of reading, Thomas suggests, can occur with both physical and digital texts, but is arguably being heightened by an increase in digital reading. You can read Bronwen Thomas’ reflection on the event here: http://www.digitalreadingnetwork.com/academic-acts-of-reading-event-at-the-british-library/. Prof. Andrew Prescott (University of Glasgow, AHRC) reflected on the issue of reading in blog posts before (https://academicbookfuture.org/2015/03/19/my-acts-of-reading-andrew-prescott/) and after the Digital Conversations event at The British Library (http://digitalriffs.blogspot.co.uk/2015/09/acts-of-reading-redux.html). Prof. Miri Rubin (Queen Mary University of London) referred to the linguistic turn of the 1990s and the intertextuality of texts, and how this is a useful frame through which to consider academic reading: everything that humans produce and how we communicate with and understand each other is coded in texts. Rubin explained how we have become “supple, multi-skilled readers of text” by learning to deconstruct texts and to acknowledge the importance of context. Nowadays scholars undertake a great deal of research via databases and searches. Often, we aren’t physically embedded in reading contexts – we are no longer immersed in journals in the stacks, or flicking through pages of physical text, accidentally discovering other information in the process. Rubin asks: Does this new reading change the way we understand content? She gives an example of a colleague who was researching the 1975 referendum. Due to copyright issues, he had to look through the original articles in physical newspapers, rather than viewing them in a digital context. Seeing them embedded in their original contexts, surrounded by the adverts and other articles on the page, the referendum articles took on new meanings and relevance. This is not something that can always be fully appreciated when using digitally-reproduced sources. The academic book of the future: born digital? Bronwen Thomas recently wrote a textbook that included links to relevant web pages, but she admitted that this is an “unsatisfactory way of trying to connect. The links will probably be dead by the time the book is published.” Seeking permissions for images can also discourage the kind of engaging, interactive e-text that Prescott would like to see. Despite this, Thomas thinks that the academic book of the future will be born digital – conceived as digital right from the outset, and including audio-visual content, links, and interactive features. Rubin added to this, suggesting that academic books of the future should be able to create a completely holistic reading experience for research and writing, for example when researching the Magnificat, the music itself could be playing in the background via an ebook. Sara Perry highlighted that there are strong links between the analogue and digital, and our ways of reading. Perhaps, she suggests, there are “larger concerns around the sharing economy: bureaucratic shackles, politics, longer-term engagement, personal safety, the divides between communities, surveillance and data analysis, and corporate control.” She questions how acts of reading are affected by the academic contexts in which we find ourselves, for example academics are subject to the REF, the impact agenda, metrics, etc. She cited one of her PhD students who has created video games to advance archaeological research, deploying them alongside the trowel or camera as a toolkit of the archaeologist. This student wants her examiners to literally play her thesis, rather than read it, but she is being forced to battle with the assumption that the PhD should be a monograph. Hence, the game will probably become an appendix at the end of her thesis, eliminating the potential and possibility of it. AP: Vivian Hunter-Galbraith’s book on using Public Records: it has haunted me since I was about 20. Now it is only available in a 1960s reprint. I constantly refer back to it. I would probably buy the ebook, like you said, to find a particular quote more quickly. BT: For me re-reading is literary re-reading, like reading Jane Eyre 50 times. I re-read it every time I teach it. I don’t read ‘academic’ books in that way. MR: I do the foraging and the researching but then if like it I buy it and re-read it more fully. AP: It’s not something I would turn down if you offered it to me, but I would point out that this idea is a deception, because in the foreseeable future I don’t think it could exist. Take the example of Tristram Shandy: Sterne went to great effort and expense to insert a DIFFERENT piece of marbled paper in every single one of the first copies of this book. How would you recreate something like this? BT: Absolutely not: It would be meaningless! Going back to the idea of foraging, part of the process of reading is the discovery, the creation of my own library of content – it would be a meaningless mess of everything. Posted on October 2, 2015 by academicbookfuture	in academic books, libraries and tagged Impact, REF 2014, vocational. Today’s guest post is by Anne Welsh, Lecturer in Library and Information Studies, University College London. Anne considers the implications of writing in a vocational discipline where theory and practice are integrated; how writing in these areas are considered within evaluation processes such as the REF 2014; and asks what this might mean for the academic book of the future in vocational disciplines. This statement on my Facebook page was sparked by a question about influence on Twitter last weekend. It got me thinking about the somewhat bigger questions of why we write, and whether there are any distinctive qualities about vocational disciplines that make writing and action linked in a visceral way. I’m very interested in the pedagogical underpinning of vocational disciplines within the academic setting. The fast-approaching centenary of our department (the oldest library school in the UK) has taken me to a place in my research exploring not just our history, and Library Education’s move from learning-on-the-job to study-at-university, but, more generally, the concept of Professionalization and what Watson (2002) has described as the reinvention of certain occupational groups as professions. In a forthcoming book chapter (Welsh, 2016), I argue that university became the natural location for Library and Information Studies because, as Jarausch (2004) has highlighted with regard to other professions, “it was not expertise as such, but its certification which created cultural capital” (p. 367). Academics have the potential to directly impact their field through their books (and other outputs). There is competition, both for academic publishers and for authors who are academics, since experienced practitioners are also publishing. In order to achieve (1) there are effects on (2) with regard to such important concepts as subject-matter (the books commissioned by publishers), diction (the dry, dull language favoured by some sectors of the Academy will not reach as wide an audience as engaging language) and pricing (monographs that outprice their market will not sell either their pages or their ideas as widely as books that do not). In brief, the academic book of the future within vocational disciplines has a wide audience that is not only ready-made, but is made, in some respects, by the authors themselves. For example, former students who learned in class from my book Practical Cataloguing are now emailing me asking when my next book Cataloguing and Decision-Making in a Hybrid Environment will arrive with them, because as practising librarians, they have the book on order to help them with their current role. More importantly, I think that in vocational disciplines authors have decisions to make based on our motivations. For REF2014, I was advised not to include Practical Cataloguing despite its having sold thousands of copies. The REF panel in our area is very wide, and it was suggested that people who have never catalogued might not see the academic value of a book that discusses the seismic shift in the intellectual models underpinning our international standards and its predicted impact. More recently, a senior colleague in the Faculty told me that the book was regarded as “knowledge transfer” rather than research, “because of the series”. “It’s not in a series,” I said, and he responded, “You know what I mean. Facet – they publish for librarians.” Biting my cataloguer’s tongue (Facet is a publisher, not a series), I smiled as he continued, “But it’s excellent for impact. If you didn’t put it in for REF2014, maybe it can be an impact study for REF2020.” Because a ‘secondary market,’ beyond the couple of hundred academics who might read a monograph, is, in academic terms, “public.” Because a book on an apparently dry topic that I wanted to be read by busy professionals needs to be written in a style that makes them want to keep on reading, and that’s not the language of the Academy. Because a ‘manual ‘that instructs people how they might do something can’t possibly involve research, can it? Not even when it’s the first to look at a new international standard and interpret it and theorise how it might be applied. And that brings me back to my opening comment. The question that triggered all of this asked simply “Who are your most influential new thinkers about the library of the future?” The answer, for me, was simple: “All of the students. Not just the ones here [at UCL]. It’s the quieter majority that will make ‘the library of the future.’” Because, in my eyes, they will. Writing a book or giving a conference paper (or having thousands of followers on Twitter) may be “influential”, but only if people in the world take up an idea and put it into practice. Without that, all our writing, all our speaking, all our thinking, in fact, goes nowhere but the library shelf (or university repository). I can touch some of the things my students and former students have implemented when I walk into their libraries. Colleagues at the Bartlett can literally touch the walls and ceilings and floors their students have designed. Slade colleagues could even bid on the artworks their alumni exhibit (if the academic life pays them enough money). And when we write, it’s not solely for the few experts in our own fields, it’s not solely for current students, it’s for the whole professional group to which we belong. My senior colleague’s right about me, but for the wrong reasons. My books aren’t Academic-with-a-capital-A. Not because I’ve missed my market: let my research articles take care of the REF, I say. My books are written for anyone who catalogues who wants them, and specifically for anyone who wants to change cataloguing to think about and mull over, and build something new in the real world. For the opportunity to do that, I’m very grateful to my publisher, Helen Carley at Facet, and I’m even more grateful to the wider cataloguing community. I don’t know if what I’m finishing at the moment is what you would consider an ‘Academic Book’, but I reason that as long as universities are running vocational courses like the MA Library and Information Studies on which I mainly teach, books for librarians will be a part of my future. As a non-publisher, I suggest that, more widely, books for the professions that sell in their thousands are, perhaps, as much a part of ‘The Academic Book of the Future’ as monographs for academics that sell in the hundreds … or even the tens. Image: RUSI Library, with thanks to Ela Szubarczyk, who appears in the photo. If you are interested in a cataloguing internship at RUSI, please email library@rusi.org in the first instance. Bloom, B.S. 1984. Taxonomy of Educational Objectives: The classification of educational goals. New York: Longman. Kolb, D.A. 1984. Experiential Learning: experience as the source of learning and development. New Jersey: Prentice-Hall. Jarausch, K.H. 2004. “Graduation and Careers.” In A History of the University in Europe. Volume III. Universities in the Nineteenth and Early Twentieth Centuries (1800-1945), ed. W. Rüegg, 363-389. Cambridge: Cambridge University Press. Watson, T. 2002. “Professions and Professionalism: Should we jump off the bandwagon, better to study where it is going?” International Studies of Management & Organization 32(2): 93-105. Welsh, A. 2013. “Experiential Learning in Historical Bibliography.” In Ambassadors of the Book: Competences and training for heritage librarians ed. R. Mouren. Berlin: de Gruyter. 147-162. Welsh, A. 2016. “‘Expertise – Certification – Cultural Capital’: The education of librarians in the UK.” In Educating the Profession: 40 years of the IFLA Section on Education and Training ed. M. Seadle, Clara Chu and Ulrike Stöckel. Berlin: De Gruyter. (In press).